It’s a weird time in American history. The truth no longer matters. Not the subjective truth of what you think is the best beer or who makes the best hamburger, but the objective truth of what is or is not a fact. It’s not that objective truth doesn’t exist, it most certainly does, it’s that so many people, particularly on the political left, no longer care what that objective truth is. The “Russia collusion” story didn’t invent the concept of two different realities, especially in politics, but nothing exposed it more than the 2-plus year witch hunt. Like the constellations in the stars, which can be made into anything when there are millions of them, people seeing what they want to see is nothing new. What is new is the idea that people deny what is unambiguously right in front of them because they either don’t like it or have too much invested in something else. When word came down last weekend that there was no collusion between Russian agents and anyone remotely associated with the 2016 Trump campaign, worlds were rocked. CNN, MSNBC, and their fellow travelers in print form genuinely did not expect that to be the case. They’d spent those years swearing to their audiences it would be the case. Thus, one could understand why they’d immediately start the Küber-Ross stages of grief. Only they seem to be stuck on step one. The first stage of grief is “denial.” It’s natural, no one wants to accept loss, but that’s all these so-called adults have. They’ve dabbled in stage two, anger, but only in the context of people mentioning the truth they’re in the throes of denying. It’s really bizarre. More than that, it’s dangerous. How does anyone work with or trust people unwilling to admit the Sun rises in the East? The queen of collusion has been Rachel Maddow, the MSNBC host known for Muppet-like gyrations and mugging for the camera straight out of the silent film era. Friday, when the report was submitted and it was known no more indictments would be forthcoming, Maddow interrupted her fishing vacation in Tennessee to demonstrate what shock looks like on live television. By Monday, denial had fully taken hold. You’d almost expect the digging in of heels from the people who’d been on camera or had bylines for two years putting their names to the, and I’m being overly generous here, falsehood. They’re the ones who told the lies as if they were gospel, and they’re the ones who have to find a way to convince their audiences they weren’t lying at all. But you’d expect management to sing a slightly different tune, to exhibit some introspection about how they’d so thoroughly soiled their sheets and credibility. Not full self-flagellation, but an admission they needed to do better in the future. Jeff Zucker, the brains behind the oldest and least-watched brand in cable news, sees blame, but elsewhere. “We are not investigators. We are journalists, and our role is to report the facts as we know them, which is exactly what we did,” he told The New York Times. 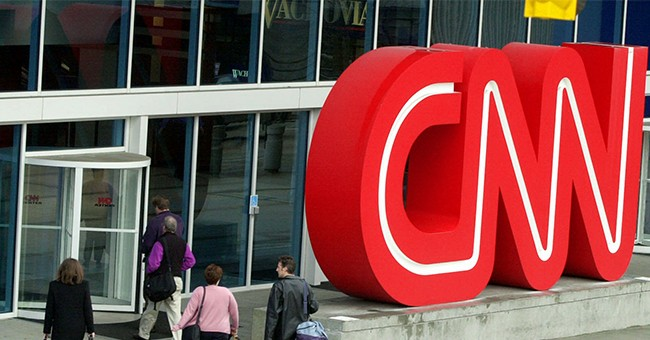 No outlet had more corrections, retractions, and “mistakes” than CNN, yet the captain of the once-respected Titanic of cable news is blaming the iceberg for not swerving. Dean Baquet, the man who runs The Times, absolved his paper of any and all responsibility as well. “It’s not our job to determine whether or not there was illegality,” he said. He seems unaware of the contacts his reporters have with CNN and MSNBC and how they routinely shared rumors and their wrong opinions through their other jobs. You can’t be an activist and a journalist simultaneously, they’re contradictory professions. None of these people can admit they did anything wrong because they’re in denial about the president not having done anything illegal. The new mantra of the left is “We need to see the whole report and all the supporting documents.” This isn’t from a desire to read millions of pages of evidence, it’s to delay the inevitable. Dozens of FBI agents and 19 lawyers worked on the Mueller investigation, if they’d found a smoking gun or something that contradicts what Attorney General William Barr wrote in his summary you can be certain someone would have called a friendly journalist to contradict it. The phones have not rung. There is no incentive for denialists to accept the objective truth, only downside. Their narrative of collusion is so engrained in their worldview that even after the conclusions of the Mueller Report were known, fully 48 percent of respondents still told Reuters “Trump or someone from his campaign worked with Russia to influence the 2016 election.” That is down 6 percentage points from the previous week, but it’s also a testament to just how deep the denial runs. No amount of truth is going to sway people away from a lie they desperately want to believe. If the audience lied to doesn’t demand better from the people who deceived them because they so desperately want the lies to be true, there is no incentive to do better in the future. That objective truth means the greatest political fraud of the 21st century is likely to only hold that title for a very short time.